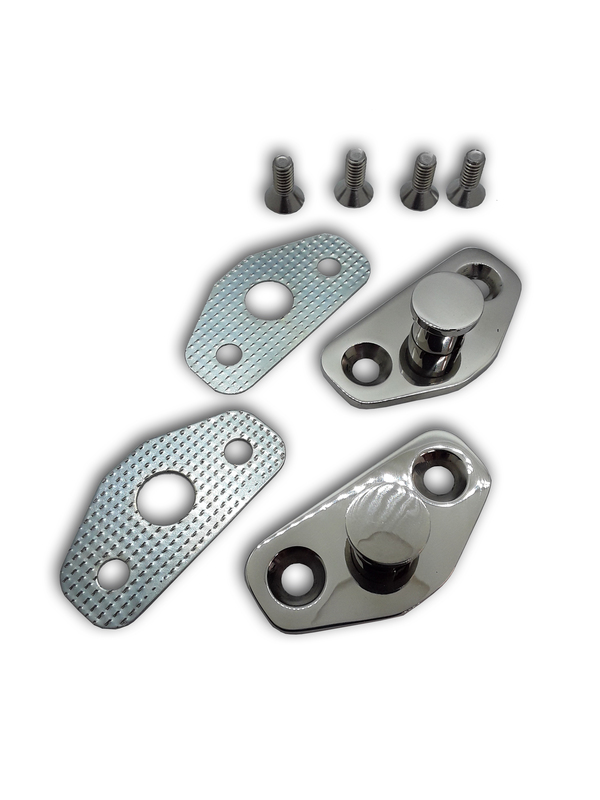 These are the best replacement door strikers we've used and are an excellent match with our Power Door Lock Kits. Some aftermarket door strikers aren't made to OE spec. The radius on the catch can be too large on some aftermarket strikers which causes the door latch to not release properly. Often times you may think there's an issue with the latch or possibly an adjustment is needed when the issue may in fact be the striker. Avoid the hassel and get the right strikers from the start. It doesn't hurt that the polished stainless finish is a great show piece too! 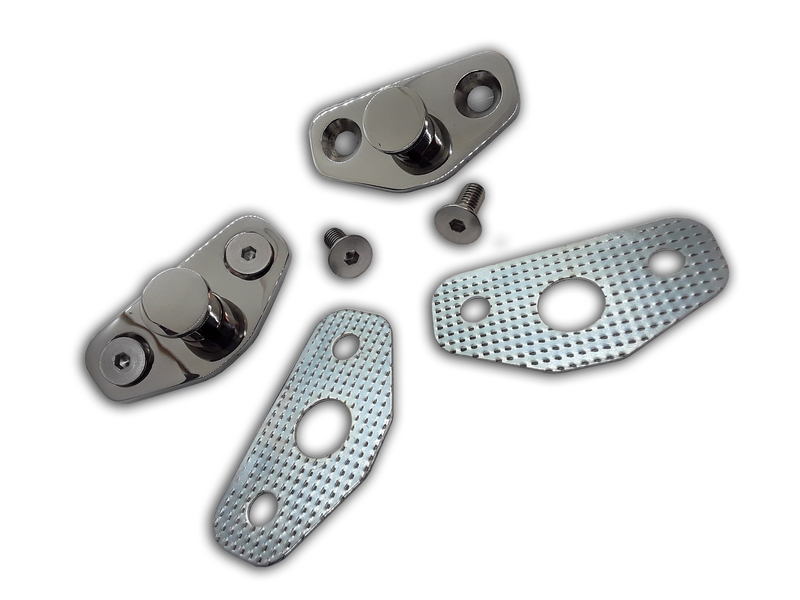 Kit includes Strikers for both doors, stainless hardware and shims.